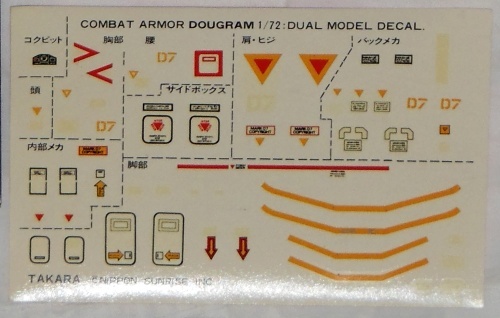 Here is the Dual Model Soltic Round Facer from the anime Fang of the Sun Dougram. I have been meaning to watch the anime, but I keep forgetting to watch. Looks like there are quite a few episodes on Youtube. 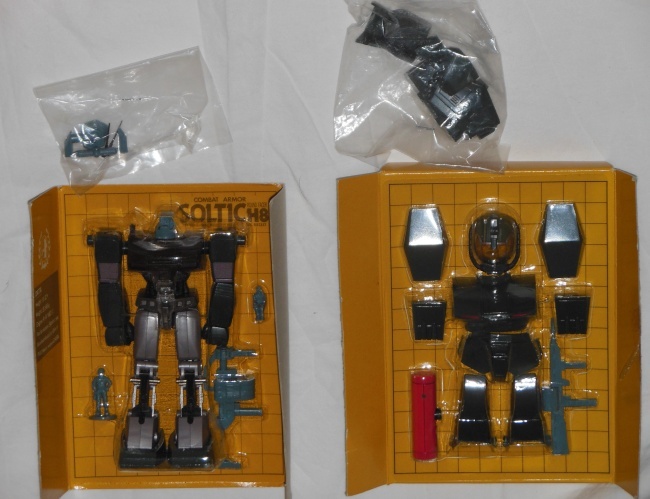 I never opened the Soltic robot, so I never got excited about it. I think I will need to purchase a loose one just for display purposes. The Takara Dougram series of robots are pretty cool robots. 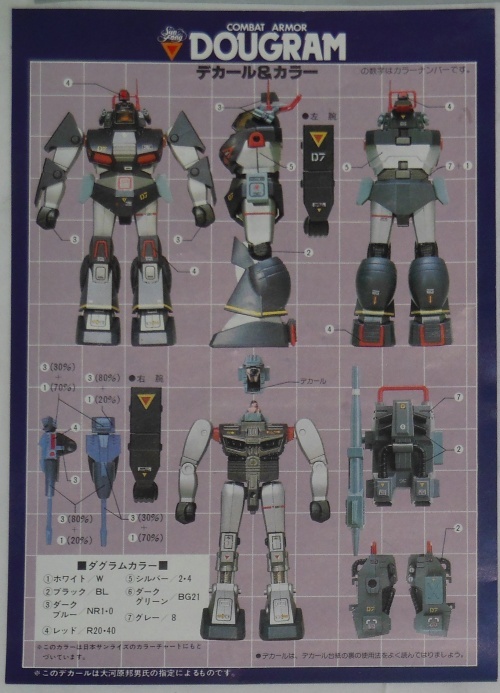 I liked the Soltic and Dougram armors as they felt like realistic mecha would, like the Votoms or Gundam robots. The dark green coloring gives the Soltic a nice military vibe and evokes an image of tank in my mind or military vehicles in general. 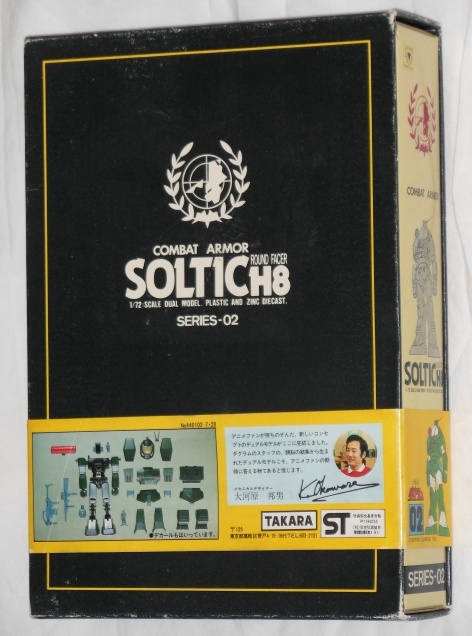 The modern feel of the Soltic robot reminds me of newer Gundam designs as opposed to the clunkier Votoms robots. 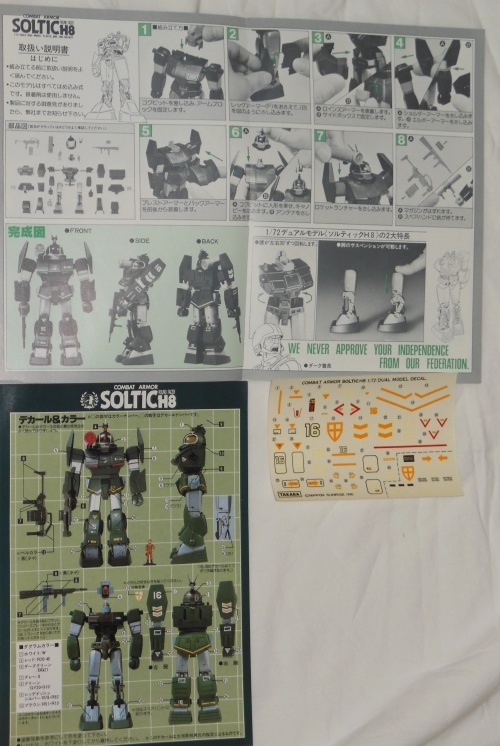 The Soltic is a perfect example of a solid 80’s robot. Good design and quality, realistic in its look, a good portrayal of the robot in the anime, solid build, and diecast metal awesomeness. It is one of the reasons I love robots from this era. 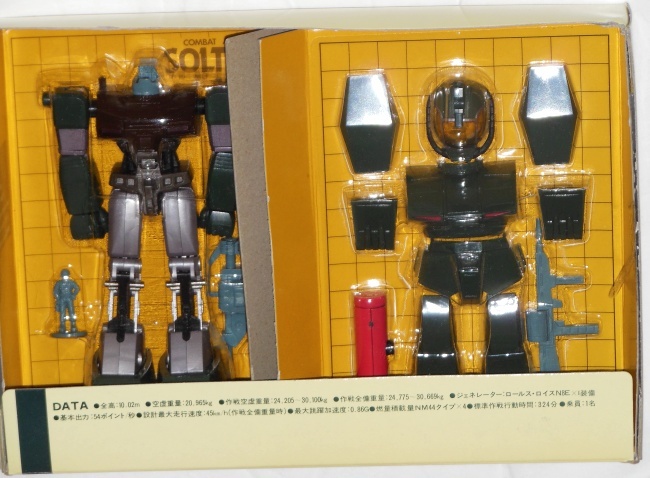 It was nice as they actually released Dougram robots in the USA and Japan. They were not that popular, as the anime was never released here or dubbed. 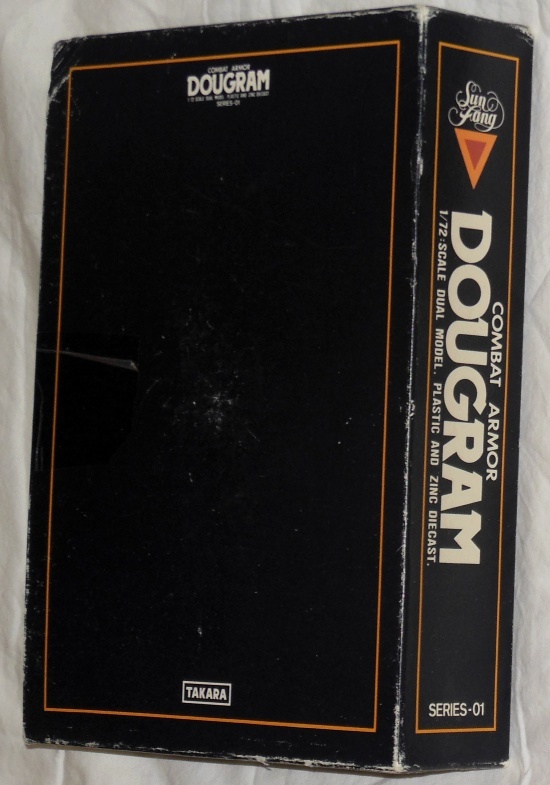 But a lot of the models for Dougram were released by Revell as part of their Robotech line. 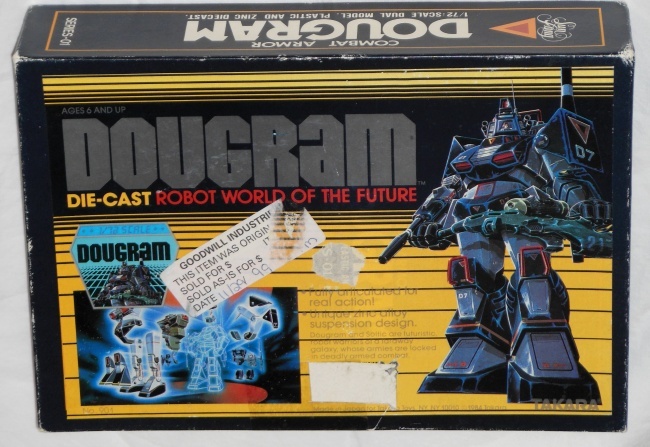 Dougram Dual Model is another cool little 80’s robot. 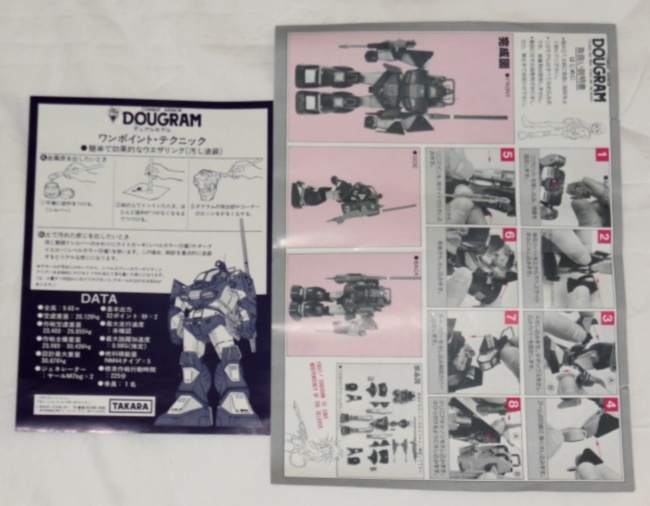 With all the plastic add on armor, the Dougram reminds me of the HCM line from Bandai. It still packs enough die cast metal to make it a Chogokin robot. I really wish this one came with the shoulder armor. I thought it would not be a big deal, but you can see it looks off without the shoulder pad. It is pretty much the only missing piece. Oh well. You have to watch what you are for bidding on in eBay. 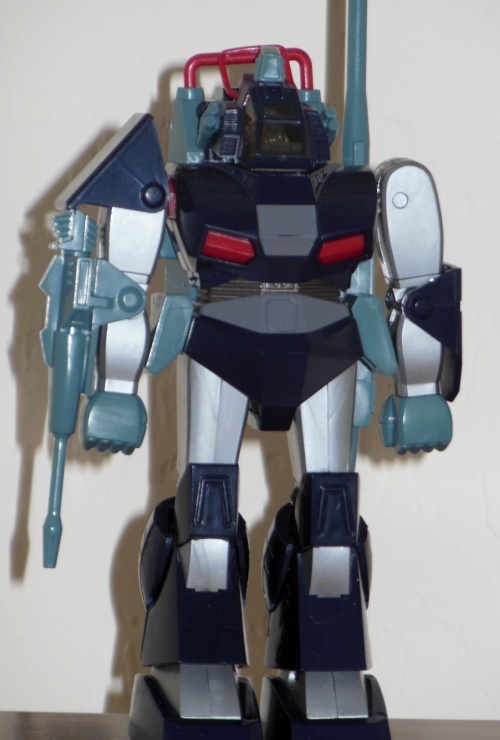 That being said, Takara came out with another quality line of robots in the 80’s besides Transformers and Votoms. I gotta watch the anime for Fang of the Sun Dougram some time. The robots are pretty cool. It’s not a wannabe Gundam. I love the packaging. 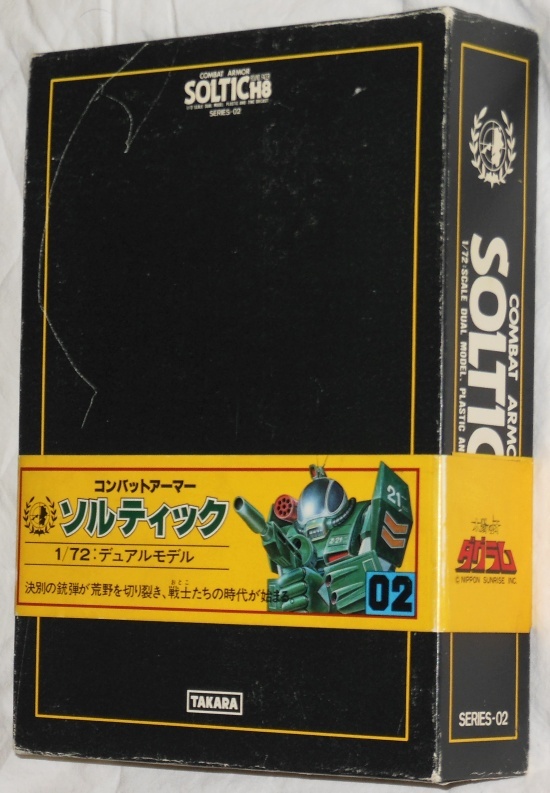 It looks like a book, its compact and easy to store, but I wish it had a styrofoam insert. 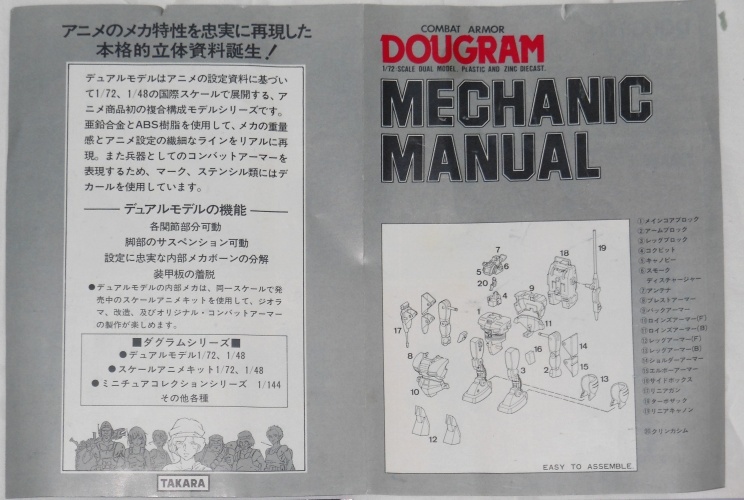 Here is a taste of the anime Fang of the Sun Dougram 1981-1983. 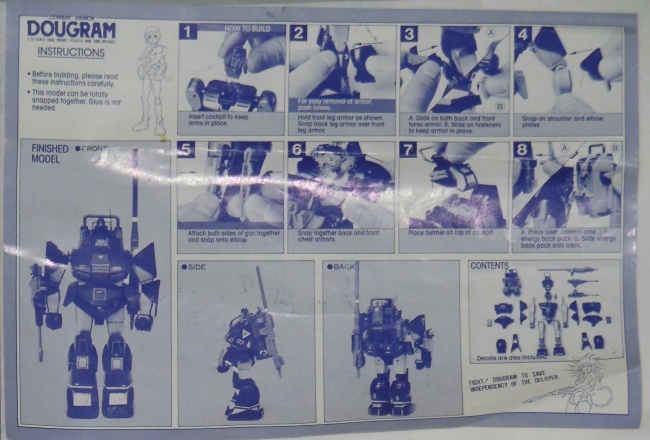 You can see the quality in the robot as you pop in each plastic piece onto the base robot in the diagram below. It is like a detailed model without having to use paint and glue.